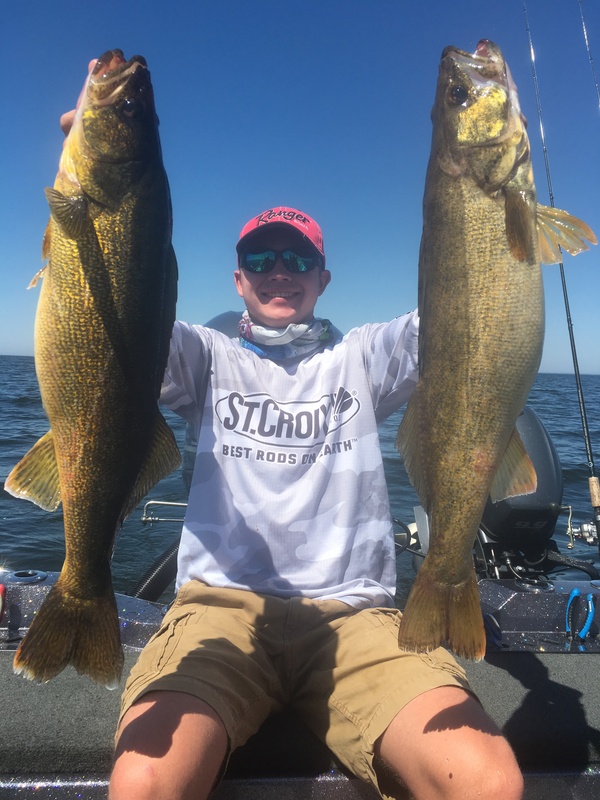 Door County Walleye Fishing has been good for the past month or so of course with some days being better than others but some pretty good fishing happening from north to south. We have been finding success both casting for the walleyes along with trolling. Most days we have been finding fish relating to structure but we have also been finding fish using deeper water away from structure and in these areas we have been finding much better success trolling for these fish using both crawler harnesses along with crank baits such as Rapala Husky Jerks. The Fall season is soon coming but still plenty of time to get in on the summer action for Door County Walleye Fishing. 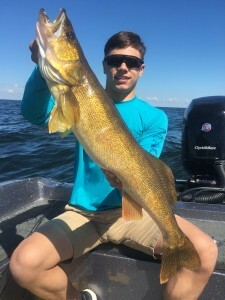 As we move into late summer and water temps are reaching peak temps we are experiencing some great walleye fishing here in Door County targeting mid lake structure along with fishing walleyes that are suspended over mid lake basin areas that have walleyes that are relating to bait fish that are roaming around changing there locations daily. Depending on where we are fishing targeting fish suspended in the basin areas or targeting fish that are structure related we have been using a trolling approach. on days that we have light winds we have been using crawler harnesses and on days with stronger winds trolling Rapala Crankbaits have worked much better for us. This is the best time to target mid summer trophy walleyes on Green Bay so take some time to take advantage of great Door County Walleye Fishing while it is going strong.